Looking for a fun new way to eat your veggies? My Greek Zoodle Salad is the perfect start. It’s easy to make, packed with nutrients, and has tons of flavor from fresh veggies, cheese, and spices. 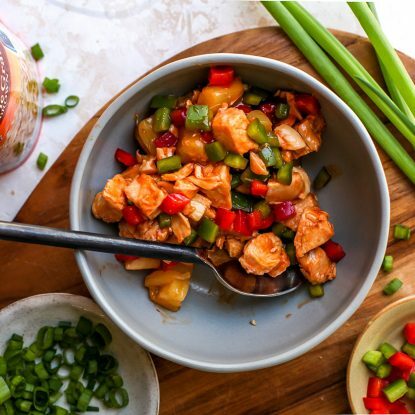 Eating healthy has never been more simple or delicious! This recipe was created in partnership with McCormick Spices. All thoughts and opinions shared are my own. 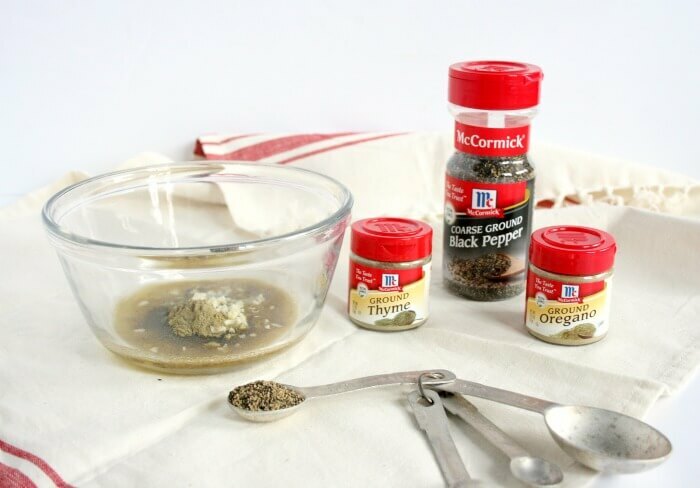 As a dietitian, one of the questions I’m often asked is “How do I add flavor my food without adding salt?” The solution is simple: use herbs and spices. Replacing salt, sugar, and fat with spices boosts the flavor while keeping the calories and sodium in check. 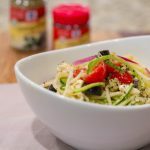 My Greek Zoodle Salad has no added salt but tons of bold flavor from the McCormick spices thyme, oregano, and black pepper. Spices take veggies up a notch and allow you to eat more delicious good-for-you foods without being worried about sodium or sugar. The recipe is great for beginner chefs or families wanting to get their kids in the kitchen. 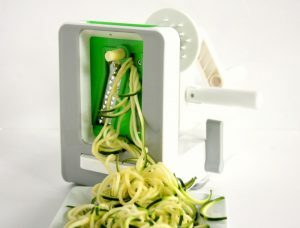 My girls LOVE to help make meals and one of their favorite tools is a spiralizer to make “spaghetti” from zucchini or apples. 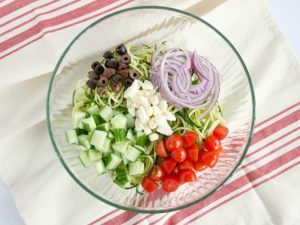 When making Greek Zoodle Salad, let your kiddos help spiralize the noodles, cut the tomatoes, and shake the dressing in a mason jar. And, of course, feel free to modify the recipe to fit your family’s tastes (this means no olives for us). I love that I can make this salad ahead of time and don’t have to worry about it getting soggy. It’s the perfect salad to bring to a picnic, family gathering, or make as a quick and easy side for dinner. On top of all of this, the left overs make a delicious lunch! 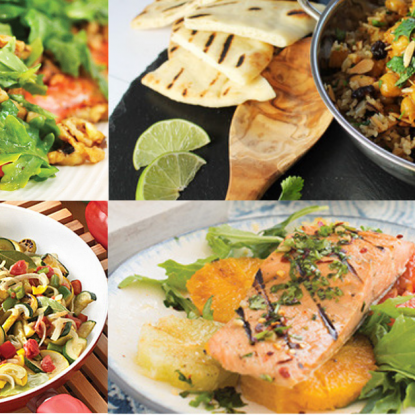 Click here for more simple and healthy recipes using McCormick spices. You definitely don’t want to miss them! Step 4: Add “zoodles,” veggies, olives, and feta cheese to a large bowl. Toss in the dressing. Step 5: Place in the fridge for at least 15 minute before serving. Never miss the fun! 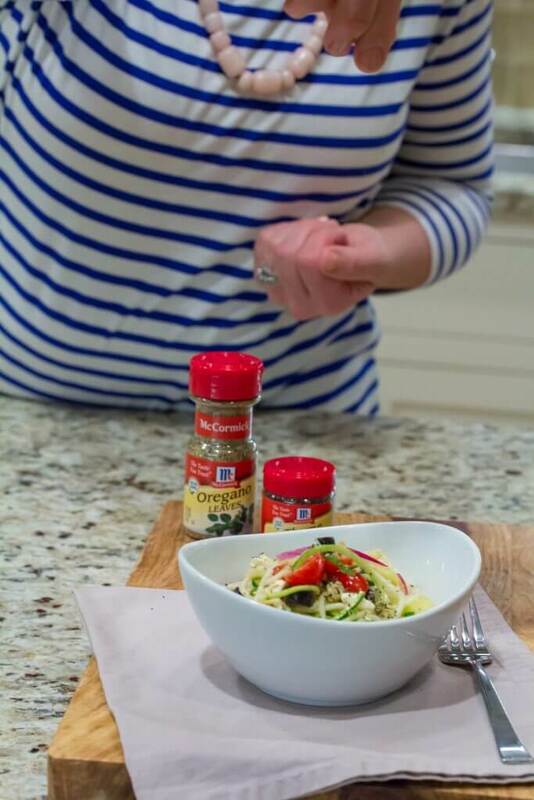 Sign up here for Holley’s Kitchen Notes today to help boost your kitchen confidence while learning how to nourish your family. Spiralize zucchini and set to the side on paper towels. In a small bowl, whisk together spices, garlic, olive oil, and lemon juice, set aside. 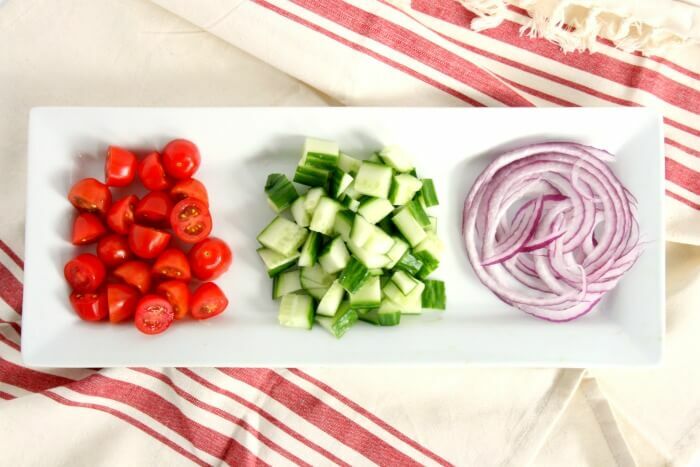 Thinly slice the red onion, half the olives and tomatoes, and chop the cucumber. Add the veggies and feta cheese to a large bowl. Toss in the lemon dressing. Looking for fun new ways to eat your veggies? 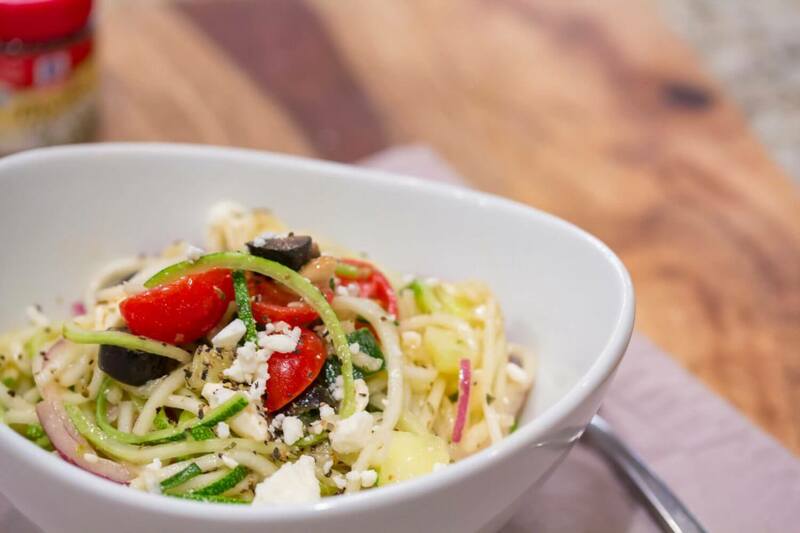 My Greek zoodle salad is the perfect start. It's easy to make, packed with nutrients, and has no added salt. 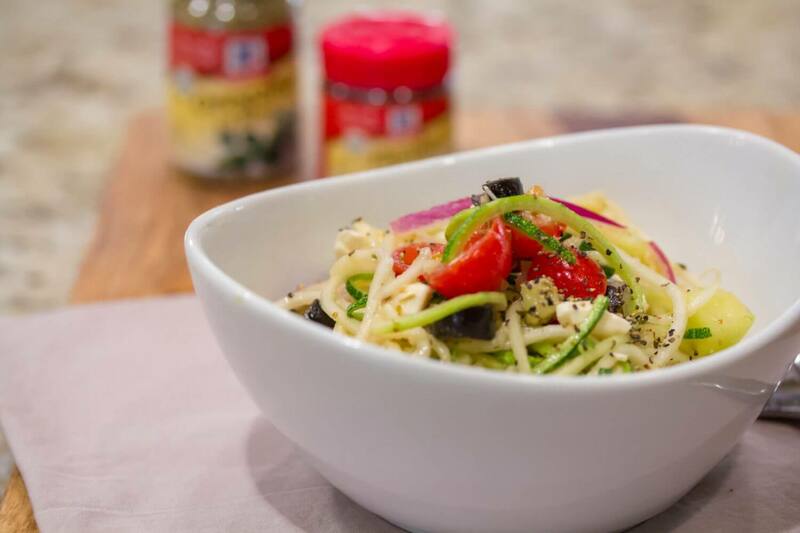 Getting healthier has never been more simple or delicious! This looks like perfectly spiralized yumminess. Thanks, Abbey! Yes, a big bowl of yummy! I envy your garden! One of these years I won’t kill all of my plants and herbs! Cute video! Love getting kids in the kitchen! Start ’em young :). Exactly! Some things they help me make they won’t touch but I”m all about the exposure. 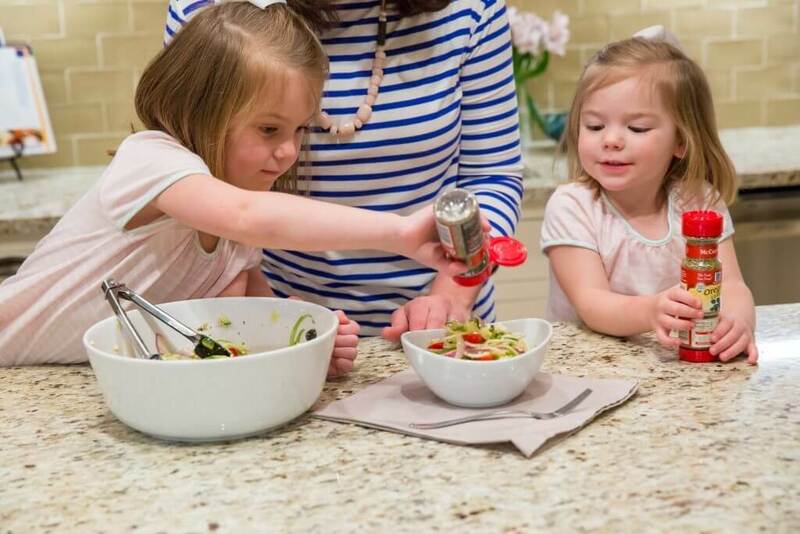 What a lovely recipe and video – your girls are the perfect helpers! I use a lot of herbs and spices too when I cook for my family – although I must admit to adding a little salt to my own portion! I do the same! I think it is all about finding the healthy balance and herbs and spices certainly help to use less. Love the video — your kids are the cutest! And such a great idea — I love zoodles! Thank you so much, Sarah! I appreciate it! They love to help with the spiralizer! I love Zoodles – this looks amazing! 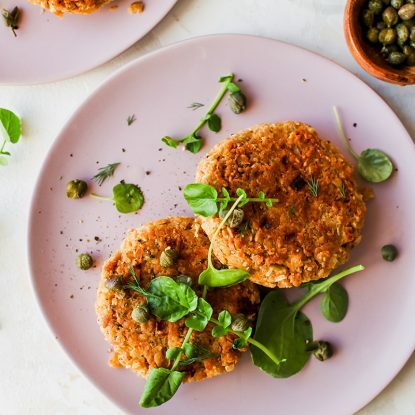 Such a great way to get more veggies into our diets. Thank you so much, Charlene! I agree!